ActiveRain Group: WeBlog Anything (almost)! 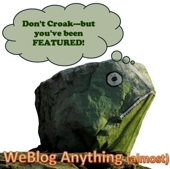 Home : Groups : WeBlog Anything (almost)! State Wide Realty Co Says: Happy Mothers Day!